This Flying Reaper is so cool! 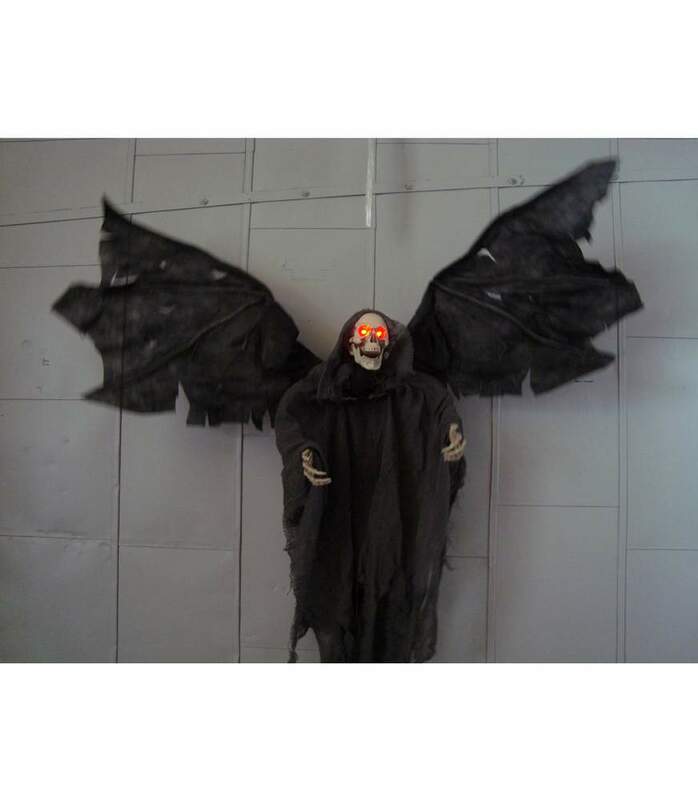 When triggered with sound activation, his eyes light up, he laughs a loud, sinister laugh and his wings start flapping - be sure to see the video! Measures approx. 38" long x 52" wide x 5" thick. (Music playing is not part of the prop). Not bad, relatively small. Really only worth it if one can obtain it at a sale price. The reaper looks and sounds cool but i was disappointed in how small it was. It is the size of a newborn baby with wings. the 3 ft is mostly cloth.